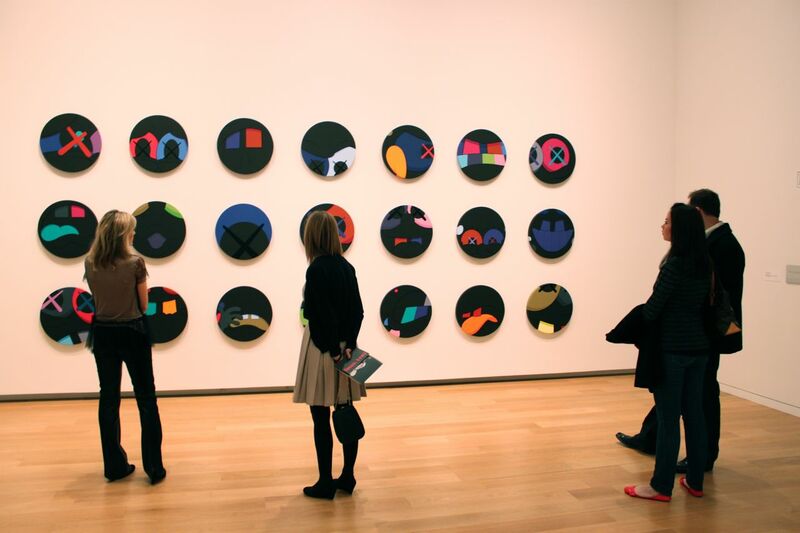 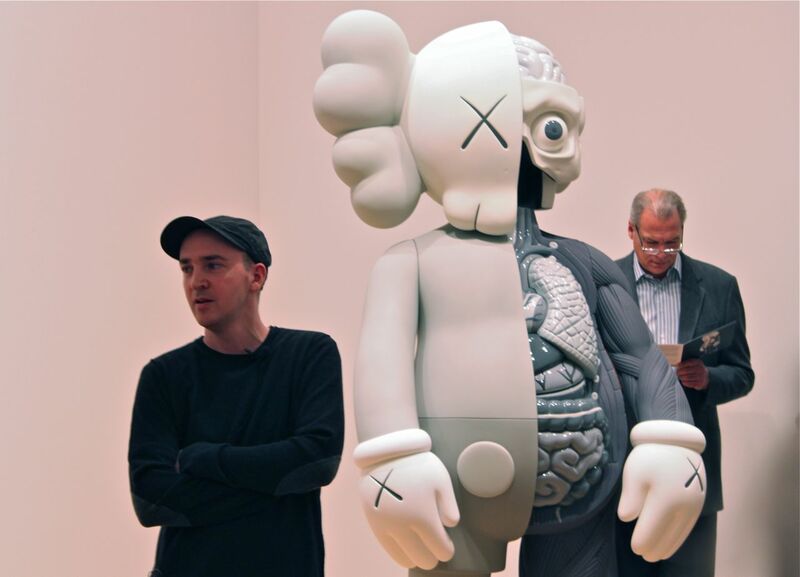 On Friday night, AM attended Modern Art Museum of Fort Worth where KAWS unveiled his latest show in the Lone Star state. 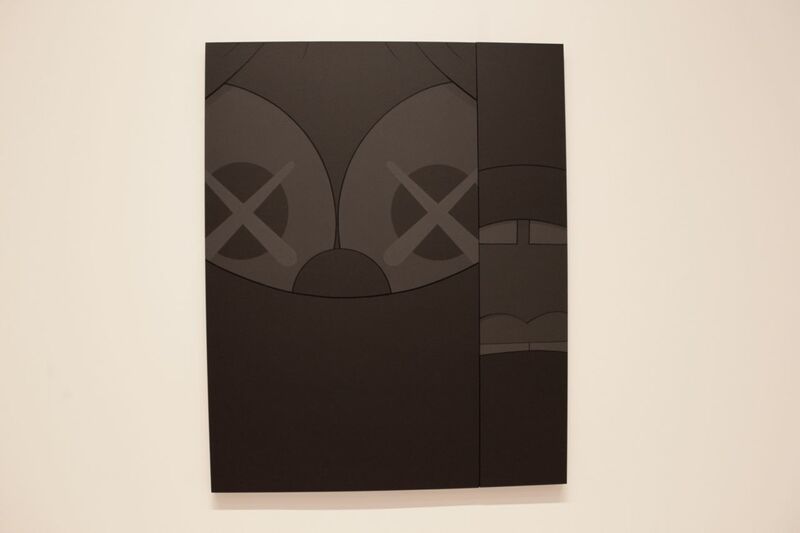 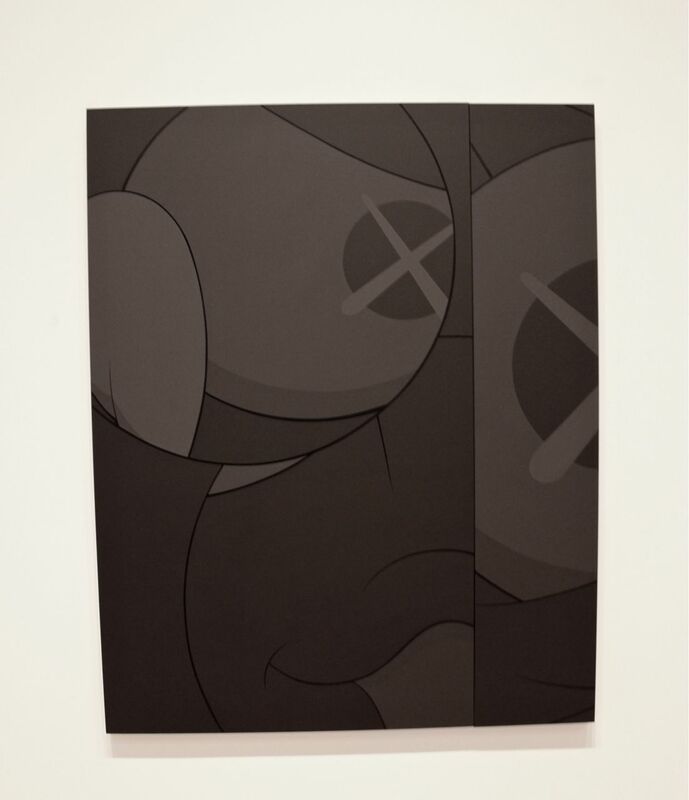 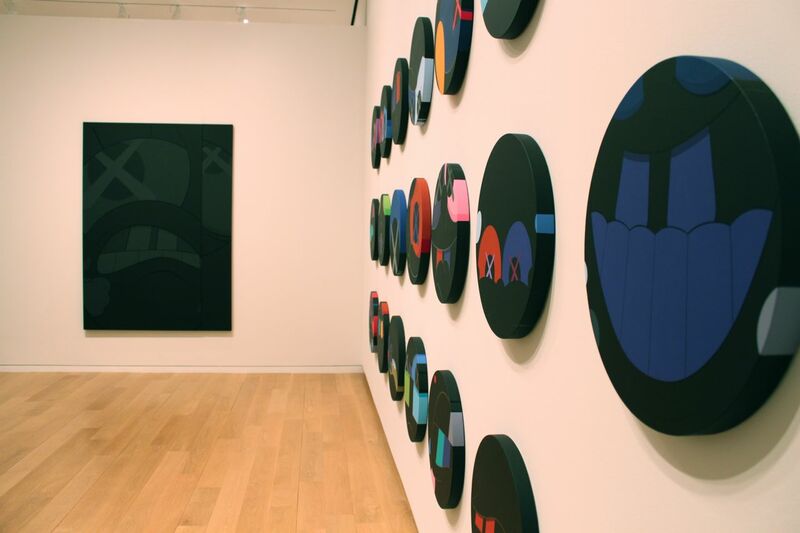 The exhibition entitled Focus:KAWS is a mix of color and monotone works from the Brooklyn based artist including a previous series of tondos which made its way from this year’s Armory. 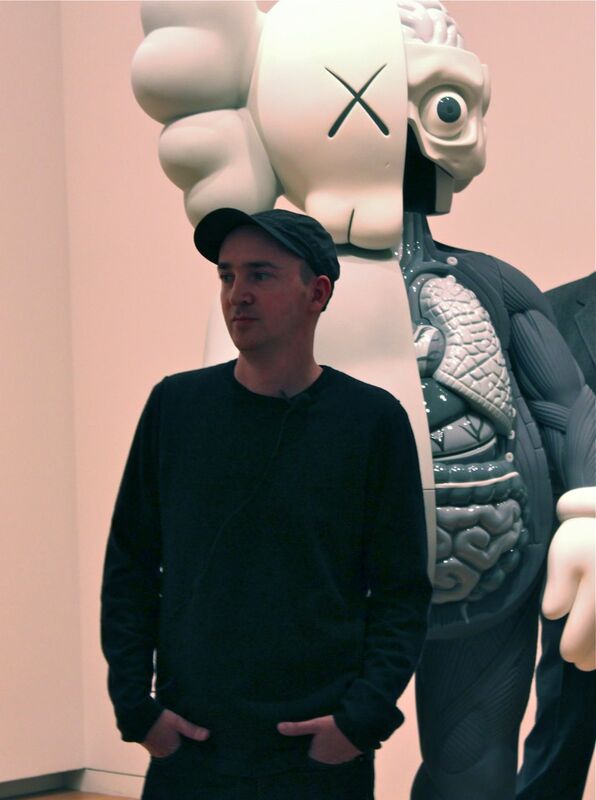 In addition, the monocolor counterpart of the neon Dissected Companion from his showing with Honor Fraser also made an appearance. 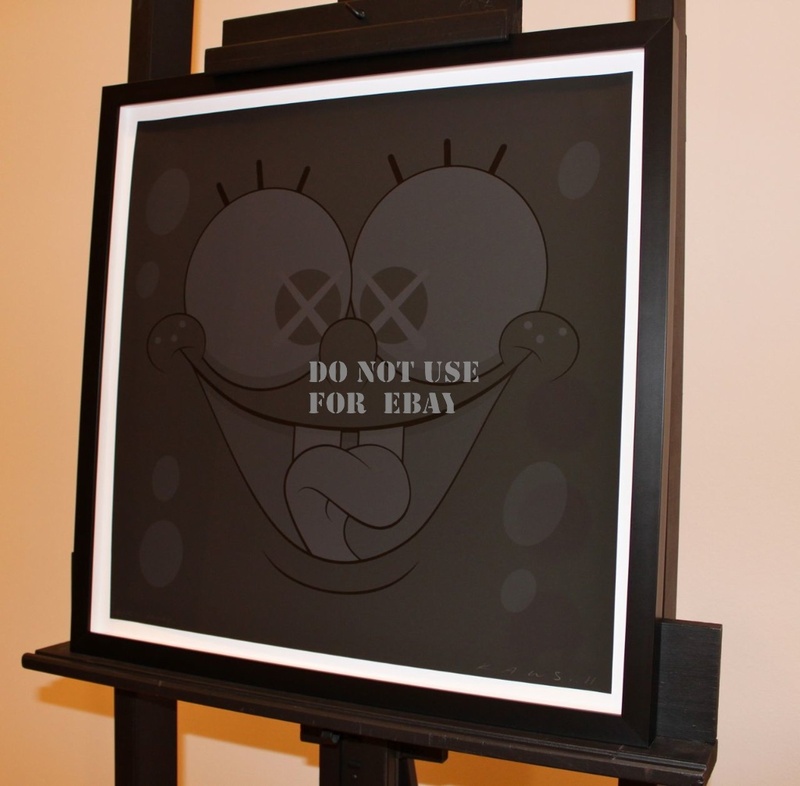 On display was also the black spongebob print which we told you about a couple days ago. 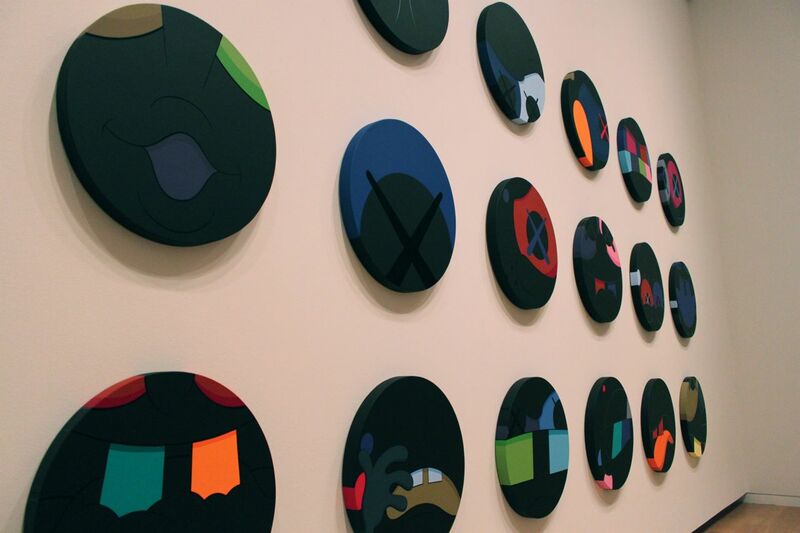 Of course, we were most excited to see some fresh paintings making their way into the showing. 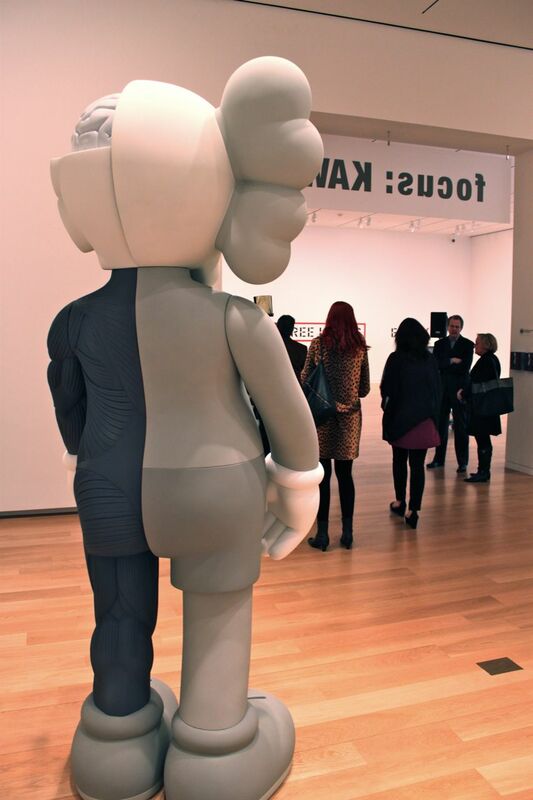 The night was filled with anticipation as museum sponsors and patrons were invited to an early preview with the artist. 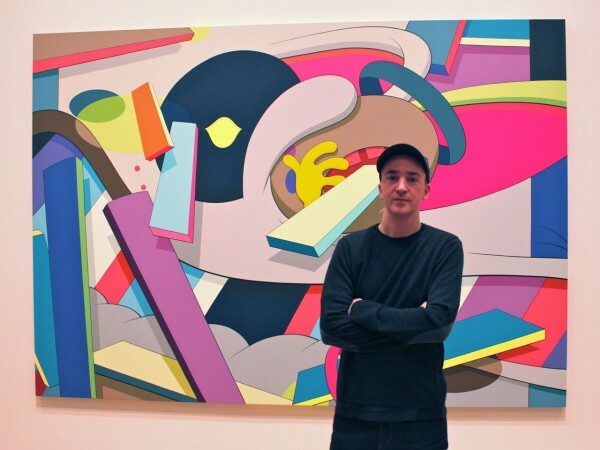 The museum has had some notable artists show there in the past few years, including Hiroshi Sugitomo, Ed Ruscha, Kehinde Wiley, and Rosson Crow. 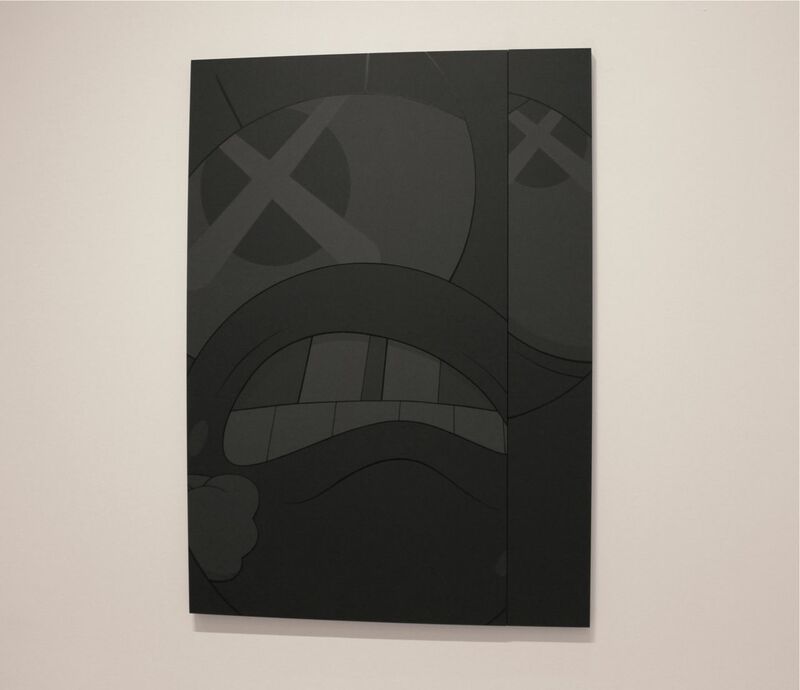 Considering the prestigious company which has graced these walls before, its safe to say KAWS is in very good company. 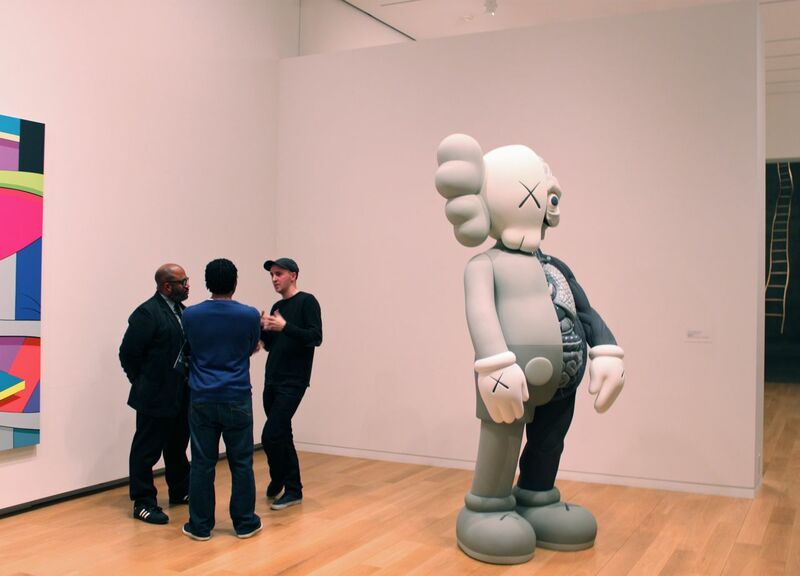 Up next on his museum circuit is Atlanta, but for now catch an exclusive look of FOCUS:KAWS after the jump. 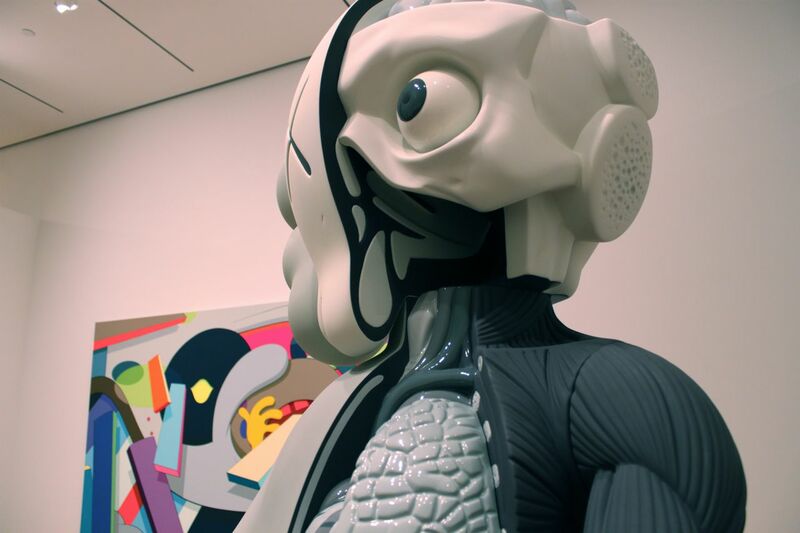 Categories: Contemporary Art, Museums, Openings, Sculpture, Street & Urban Art. 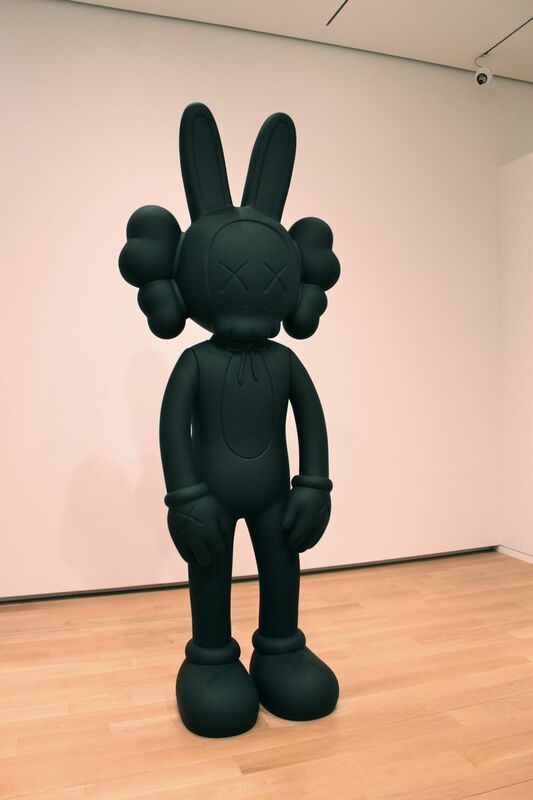 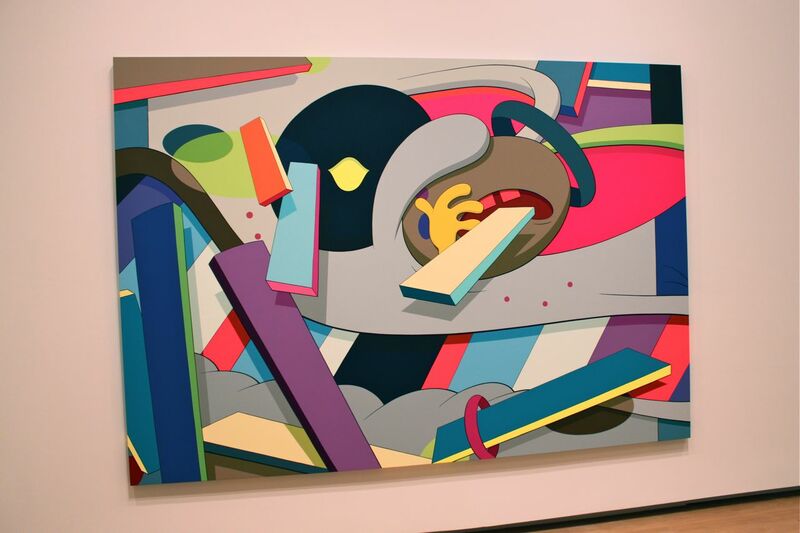 Tags: Contemporary Art, Kaws, Modern Art Museum of Fort Worth, Musuems, Sculptures, Shows & Events, Street & Urban Art, Texas.